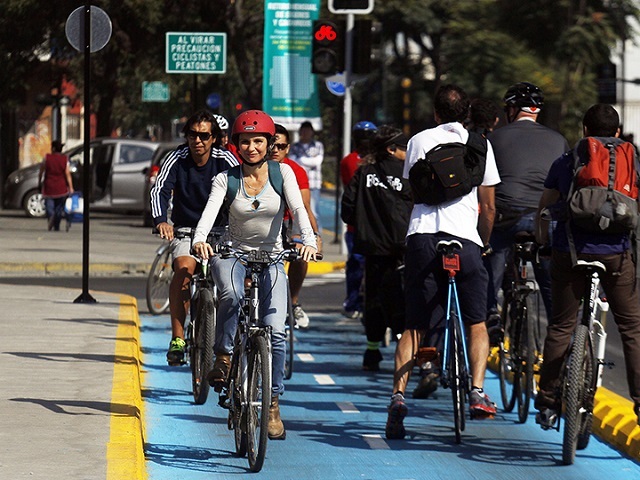 As cities worldwide grow and evolve, so too is the urban landscape changing for cyclists. While congested and chaotic streets still remain a persistent challenge for some cities, many others have recognized the need for robust cycling infrastructure and are actively supporting cycling culture. At the same time, the perception of urban cycling is changing: what was once viewed as sport or recreation is now an efficient, accessible mode of transport that city dwellers rely on. What does all this mean for the individual cyclist? TheCityFix sat down with author and cycling guru Yvonne Bambrick to discuss her upcoming book, The Urban Cycling Survival Guide, and explore how all cyclists—from aspiring to experienced—can make the most of their urban environment. 1. What would you say is unique about your approach to urban cycling? 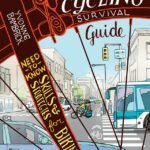 I’ve tried to cover pretty much everything you would need to know for biking in a city context. I’m pretty practical and straightforward. I incorporate my own experience as someone who’s grown up on a bike, was a driver for a time, and then came back to the bicycle. I’ve also brought in about 30 other voices—not only experts who ride regularly, but also just everyday folks—to share their experiences as well. I’ve got sections about riding with kids, riding for seniors, and even riding with dogs. I’ve also included points for drivers about what they should remember about sharing the road with people on bicycles. 2. For you, what makes cycling is a form of mobility that’s accessible to everyone? Based on experience, it’s clear to me that just about anybody can bike. Every type of person is riding now—just watch people passing you on city streets and you see people in suits, dresses, ski goggles in winter, sports clothes, you name it. It’s not just guys in high-end gear. This book provides all the key insight needed to give cycling a try. It opens up a window into this form of transportation for a lot of people who may have just watched from behind the wheel or from the sidewalk. 3. How do you think cities can build strong communities to support cycling culture? Community is interesting—it can be hard to create. It usually happens organically, but if a city is interested in encouraging more people to ride, certainly creating and promoting free events for people to come out and ride is a great option. Ciclovía events—in which the city closes some streets to motorized vehicles and invites people to bike, walk, skateboard, and run together—have been very successful. Big community events create safe spaces to congregate and try something new which certainly helps allow community to develop. However, the number one way to encourage more riders is to create networked on-street bike infrastructure like bike lanes and cycle tracks, and to provide bike parking. These are the fundamental things that make it obvious bikes are welcome. 4. Biking can be a different experience depending on the city you’re in. What are some lessons someone in, say, Mexico City can learn from your guide? I’ve included a ton of information just about how city roadways work, how to navigate the various obstacles you could encounter, and the things you need—like lights, a bell, fenders, and carrying racks, for example. The book explains how to be part of traffic on a bike and addresses how to reduce risks and anticipate traffic scenarios. Also, I address what to wear and how to deal with different weather. I’ve aimed at North America in terms of the laws and rules, but the book is much more comprehensive than that and can apply in just about any urban context. In different cities, there are of course varying cultural norms and expectations about public spaces and gender relations. So you’d want to look at it through your cultural and urban lens, wherever you are. 5. What are some ways that employers can encourage and better support bike culture? Encouraging employees to arrive by bicycle, if they’re within a certain proximity, can really make for happier employees. Having a Bike to Work day at the office in the spring (if you’re in a winter city) can be great for getting people back in the habit. And then having a mechanic on site for that is helpful so that everyone can get their bikes tuned up and do a refresher course on bike maintenance and bike education. There’s a sense of accomplishment when you’re riding to work and there are colleagues to do it with. Additionally, make sure that there is bike parking at your place of business: is it secure, easily accessible, and well lit? 6. Personally, what do you like most about biking? I love the autonomy and the sense of freedom that comes with a bicycle. You make your own schedule, you take the route you want, you’re under your own steam, and it’s really fun. Sometimes it can get stressful depending on the traffic scenario, but I just love being independent and active. The Urban Cycling Survival Guide will be published in March 2015 and can be purchased here. To learn more about Yvonne and her work as a bike consultant, visit her website.